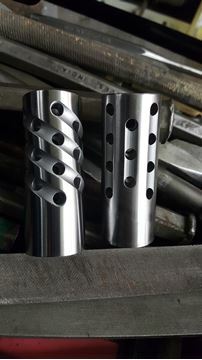 The Savage Prefit barrel is a product that every major barrel manufacturer is producing for competent gunsmiths with skill levels ranging from the at home do-it-yourselfer up to your certified professional. If you are gun-savy and have a barrel vise, a Savage barrel nut wrench and the corresponding chambers’ Go gauge, you have everything you need to correctly change your Savage barrel. 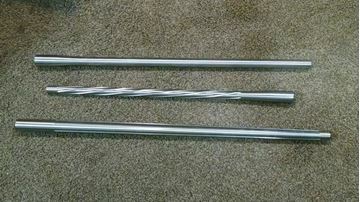 Savage pre fits come in 2 shank sizes; Standard (small) Shank / 1.058”-20, Large / 1.120”-20. Please be sure of your Savages’ shank size before placing order to ensure an easy order placement. I purchased this barrel in October of 2016 and have put 500 rounds through it up to this point. What a great barrel! The accuracy is superb, with 1/2 MOA (sometimes 1/4 MOA) consistently achievable with Hornady ELD-M, Lapua Scenars, and Nosler RDF's. I will purchase another Savage Pre-Fit from you guys again. The only negative I can say about my particular barrel is, when single feeding rounds (not from mag), the tip of the bullets (4 different types) will hit the outside of the chamber and stop the feeding process. To overcome this, I either have to insert the round partially into the chamber then close the bolt, or insert the round into the magazine, and they feed from the magazine flawlessly. Fit and finish are amazing. All chambering and threading was perfect. It fit perfect, finish was superb, chamber tru with bore and the bore was nicely polished. I have put 800 rounds down the tube with 700 of those round being what some might call barrel burners. Using RL26 and Hornady bullets 130 ELD-M @ 3020 fps, 143 ELD-X @ 2999 fps, 147 ELD-M @ 2930 fps all of these loads producing Standard Deviations of 4-6 fps and 1/3" to 1/2" 5 shot groups at 100 yards. So far I cannot measure any erosion in the throat or leade with using a bore scope the rifling is sharp and using a dummy round just touching the lands it is the same overall length I measured when first setting up my reloads. Half of the bullets shot have been coated with HBN and I am sure that helps as well. When I have shot up this barrel I will order a new on from X-Caliber and see if the first one can be re chambered for 6.5-06 or 6.5-284 and have it as well. 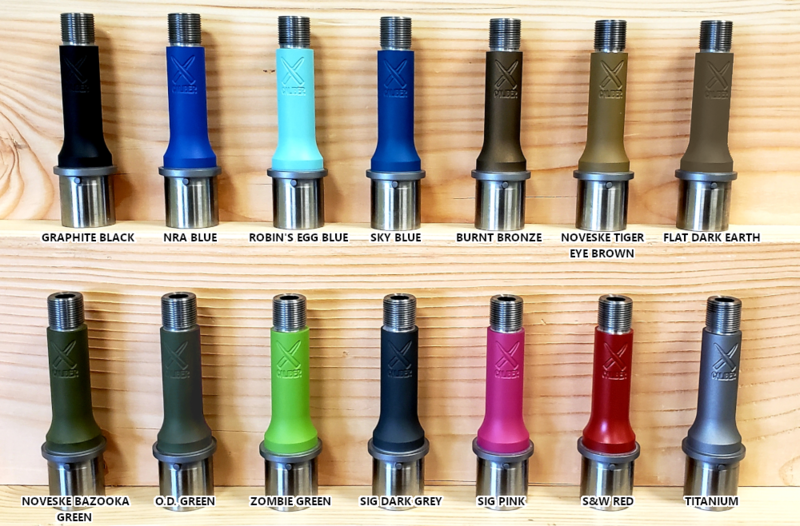 Someday I would also like to try one of X-Calibers X-Terminator Muzzle Brakes. I decided to take my Savage 111 in 7mm Rem Mag and upgrade all components to include barrel, stock, trigger, and scope. I decided on the X-Caliber brand barrel and couldn't be happier. Fired it today and produced two 3 shot groups to zero measuring .51" and .48" with handload match ammo. To confirm zeroing adjustments I fired a pair which measured .12". It can't get much better than that. The extra weight and pepper pot muzzle brake have made the recoil about that of my .243. First of all let me say I’m new to changing my own barrels and that’s the reason I bought a savage rifle. I got my son a Lightweight Storm model 110 that he will be able to grow into the rifle with just adding shins on his stock. I chose a 6.5 creedmoor but it came with a 20” barrel and had a nasty muzzle blast, finicky with most of the bullets I tried and after a couple shots it started heating up an opening its grouping size. I actually never ordered a barrel before and made a big mistake ordering the wrong size barrel. Running close to my sons deer hunt they were more than happy to try and make my deadline with a replacement barrel, talk about awesome service!! So I got my sons rifle, took about 5 minutes to take off the old barrel, clean the threads (it had a bunch of metal shavings), lube the new one up and started to thread it on. Chambered a “go gauge” and snugged the barrel nut. Tried to chamber an no go gauge and couldn’t close the bolt so I torqued the barrel but on (no threadlocker) I did however put a dimple on the receiver and barrel but to check its torque and chambered the go gauge to confirm all is well. Went to the range with random ammo to break in the barrel that didn’t need a break in!!! With a box of Hornady super performance 129 SST I shot 3/4” groups all afternoon. I tried some custom hand loads and the rifle responded very well taking it down to about 1/2” before the rain came. I have some work to do but I didn’t have enough time as the scope started fogging up as it began to pour!! So I decided to take his other savage lightweight model 16 in 223 Remington but we had no luck hunting. I’m so impressed with their high quality barrels and excellent service going above and beyond to make me happy I will order a new barrel for his savage model 16 in 277 wolverine. I can make this conversion with the only modification of a new barrel. Everything else is compatible including the bolt and magazine. I think he will be very happy with a short range killing machine. His beautiful model 110 6.5 creedmoor will be with him till adulthood and then the stock resized for his (hopefully kids) one day!! The finish, flutes, crown and craftsmanship is just impressive. Looking forward to a new barrel for my sons other rifle. Thank you for your time and keep up the good work. I cannot thank you folks enough. Stay tuned as I’m still working on a better load and will hopefully one day send you jagged holes for my grouping. Aloha from Hawaii, Kalsey Nacis Sr. I have 138 rounds down this barrel now. Most of them are 108eldm Hornady match ammo. I’ve shot multiple .5” or less groups at 100 with this barrel. Today I shot a .52” and a .31” group and had no trouble hitting a 3” gong at 350 yards and a small rock at 625. This barrel shoots very well! the moment i received my barrel in .300 win mag,i was in awe of the 10 groove spiral fluting. it is a beautiful work of art on the outside. 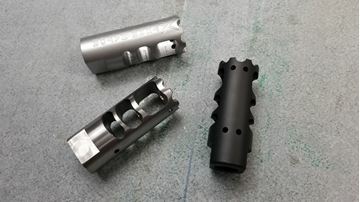 even the muzzle threads, and the action threads are tight and well machined, and that's where to good stuff ends. the chamber is very rough and leaves rings on the shoulders of all my brass. also the accuracy isn't Shilen or criterion quality. I've had better accuracy nodes on factory rifles and honestly expected more out of a $590 barrel. I have a decent load to use for hunting but i absolutely will not be buying another barrel from here.